Pasadena - The Norton Simon has impressive Maillol holdings, including some scattered around its pond to beautiful effect. (Some spectacular dragonflies, red with silver wingtips, were flitting about as well.) I've always had a lot of fondness for Maillol. I see in them what Puvis du Chavannes was trying to do somewhat less successfully in paint - to emphasize the timeless geometry of the figure. 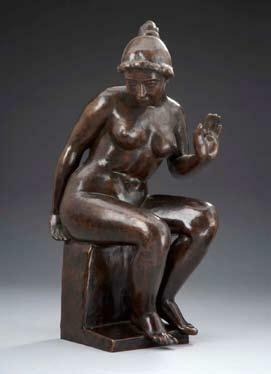 In Maillol's case, that meant landing on the Archaic side of Classical Greek sculpture without forfeiting modernity. His small works come off a bit doll-like - the grandeur of the solids doesn't scale down. (Although after seeing them, I suspected in contrast that the museum's Degas bronzes, only a little larger, might not scale up.) The exception to this was the marble, loaded with presence and looking surprisingly Chinese in its stylization. None of them are preferable to his large works, but they all have the Maillol charm, and even if their informality doesn't help them, they do offer a view of the man's talent in embryonic form. The marble one would scale up very well indeed. It would make an excellent outdoor piece. Naked women are always safe. Much safer than elephants. Re#2: If you don't know the context, that reads as a very strange comment indeed, Jack. Those look really fantastic. If I were a sculptor...but then again, no. I think Maillol is good. I like the surfaces, and the soft modelling. For some reason, I often find marble nudes very soothing. That's certainly true of this one by Maillol. I hope there's a big version of it in some nice Parisian park. all very feminine with hints of pensiveness and vulnerability or tenderness. 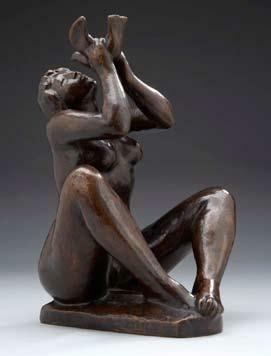 if i remember correctly, i think greenberg preferred maillol to rodin. not enough viewing for me to decide on that, but i think rodin's "the man with the broken nose" is great. 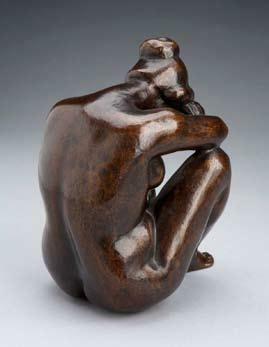 Does anyone know how to pronounce "Maillol"? Silly French. Ha ha ha! Ha. Aha. Heh. No sense in us Canadians giving pronunciation advice... everyone knows aboot our funny accents.